Newcastle United’s goalless draw with Swansea City at the weekend might not have reflected the Geordie’s dominance in the game, but it stopped a run of two consecutive defeats becoming three and has given them something to build on this Wednesday. They may also be missing Ryan Taylor and Danny Guthrie through injury and will definitely be missing Yohan Cabaye and Dan Gosling through suspension, but they should have enough to see off West Bromwich Albion. West Brom have not won in five Premier League games at St James’s Park and are outsiders once again in this clash at 10/3. They have won just three away games in the league this term and face a Newcastle side who have not lost any of their nine encounters with teams currently in the bottom half of the table. Backing Newcastle to win this one at 5/6 looks worth consideration, while West Brom can be backed to extend the Magpies’ winless run to six games by bagging a draw at 5/2. There hasn’t been a goalless draw between these sides in nine games and of those nine games, only one of them has yielded less than three goals. With both teams finding the net in each of the previous seven games, backing a high-scoring game could yield a very decent payout. The last four encounters between the sides have yielded at least four goals so back over 3.5 goals at a very decent 9/4. 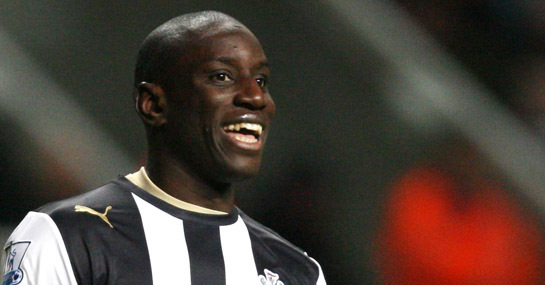 Finally, Demba Ba may not have scored against Swansea but he looked lively and he is currently 7/2 to open the scoring and add to his 11 Premier League goals this term.